Linda is Curriculum Chair and Senior Trainer for the National Children’s Advocacy Center (NCAC). As a trainer for the NCAC, Linda has conducted more than 450 trainings across the U.S. and abroad. She has presented workshops at local, regional, state, national, and international child abuse conferences. Her areas of expertise include child forensic interviewing, child development, victim advocacy, and working within the multidisciplinary team setting. In addition to training, Linda currently serves as a Child Forensic Interview Specialist at NCAC and provides supervision and consultation on forensic interviews locally and nationally. Linda previously conducted forensic interviews at four other children’s advocacy centers: Prescott House Children’s Advocacy Center in Birmingham, Alabama, The Safehouse in Albuquerque, New Mexico, the CAC of the Bluegrass in Lexington, KY, and Gateway CAC in Kentucky. In addition to providing forensic interviews, Linda served as Clinical Director for the Prescott House, NCAC, and The Safehouse of Albuquerque. Additionally, while in New Mexico, Linda served as the Project Director of the Mobile Interviewing Project, which serves the Navajo Nation and Zuni Pueblo, as a program of All Faiths Receiving Home in Albuquerque. She has also served as Clinical Director, Director of Victim Services, and Acting Executive Director of the Crisis Center of Jefferson County in Alabama. 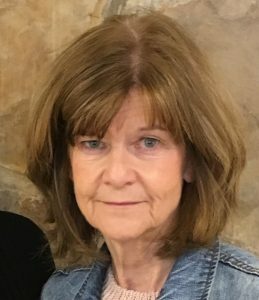 Linda has 30 years of experience in therapy and advocacy work with victims and extensive training experience regionally, nationally, and internationally. Linda received her Master’s in Education from the University of Pittsburgh and is a Licensed Professional Counselor.